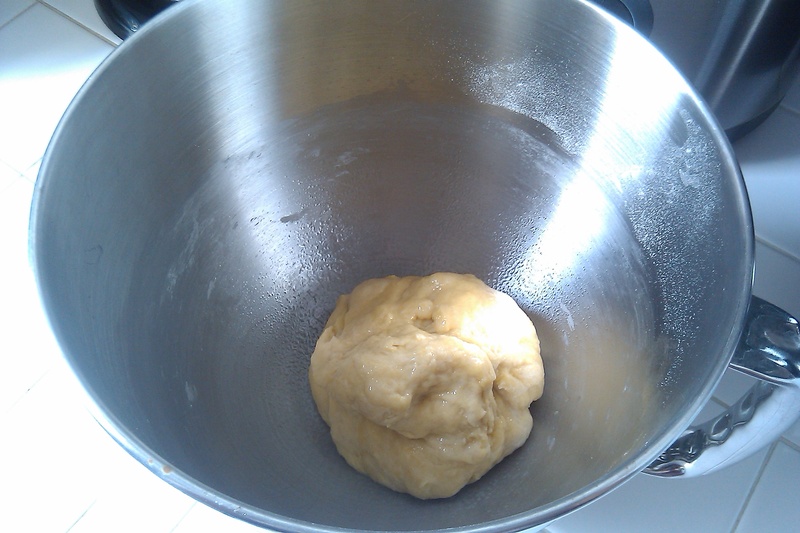 Today is the 7th day of Hanukkah and to celebrate, I am making Challah Bread! 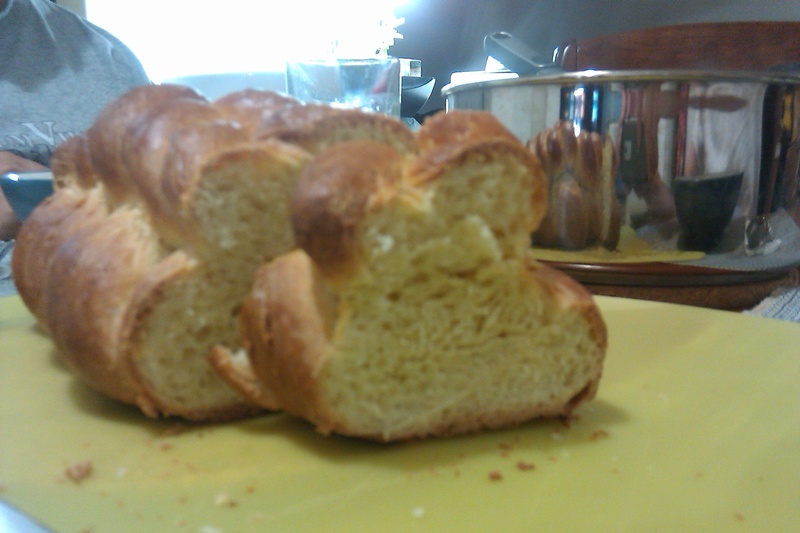 OK, I LOVE Challah Bread. I love making bread and this was one of those recipes I have always wanted to make. First of all, the dough has that sweet, egg taste that is to die for. The lovely brown color from the egg wash is so hard to taste. Plus, it is a beautiful loaf of bread! The braiding alone is very easy to do and it looks so complicated. 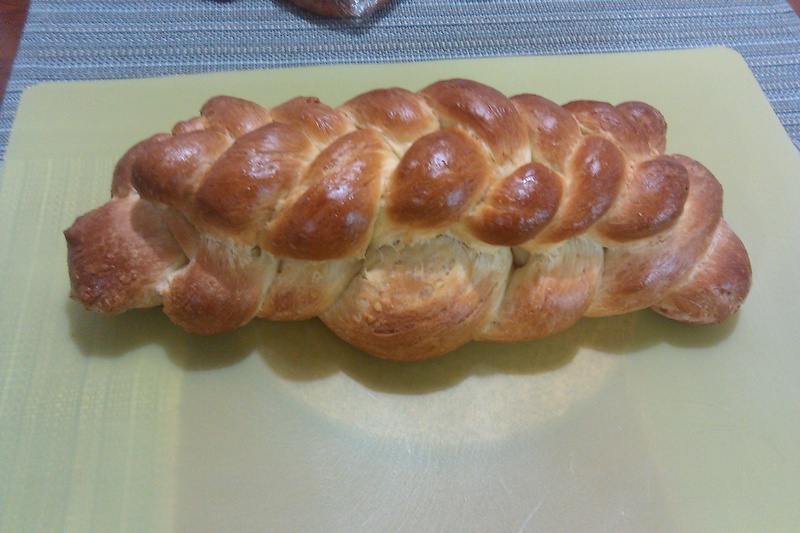 Today I made a small Double Braided Challah Bread. This feeds two people, so if you want to make a bigger loaf, double the recipe. Again, this is very easy to make, just has a long time for prep due to 3 dough risings. 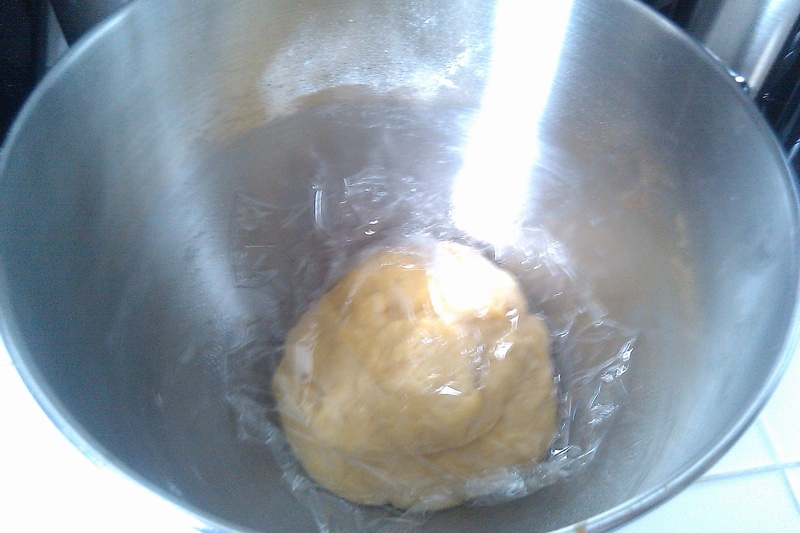 Punch down dough and allow dough to rise for 1 hour. 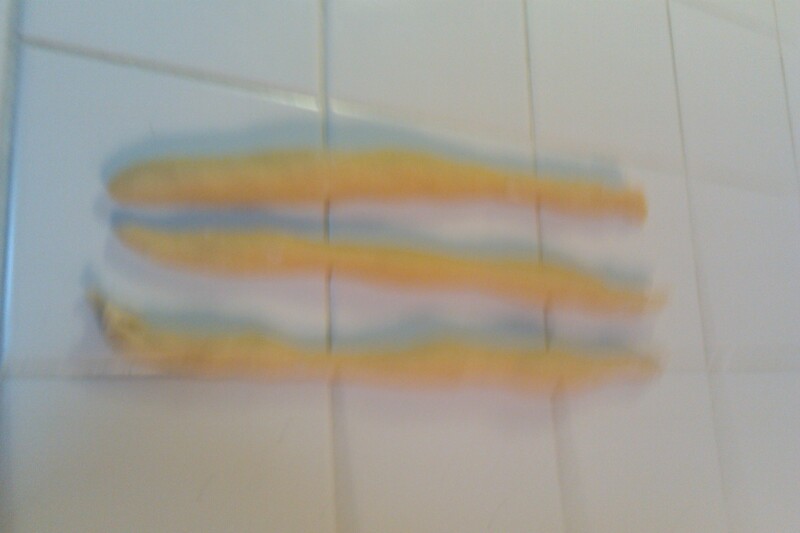 Take the 2/3rd’s portion and divide into 3 pieces. Roll each into a long rope (3 ropes). Coat each rope with flour and pinch the 3 ropes at one end. 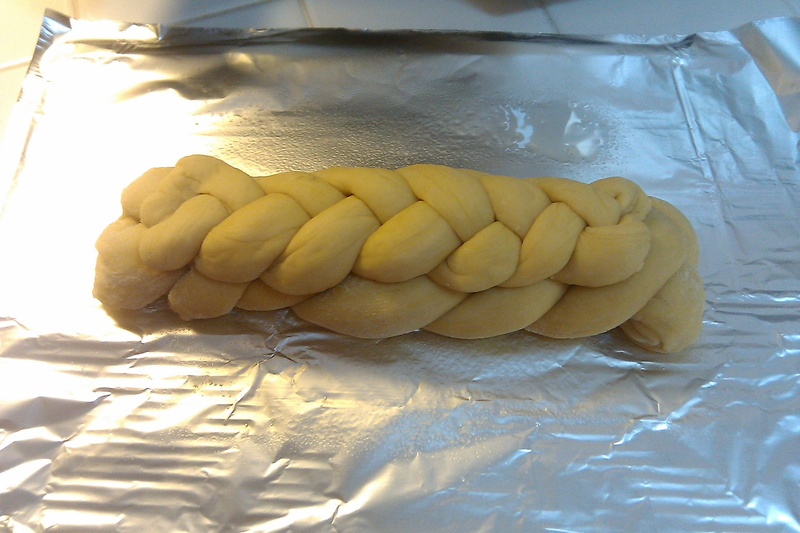 Place braid on a greased baking tray. 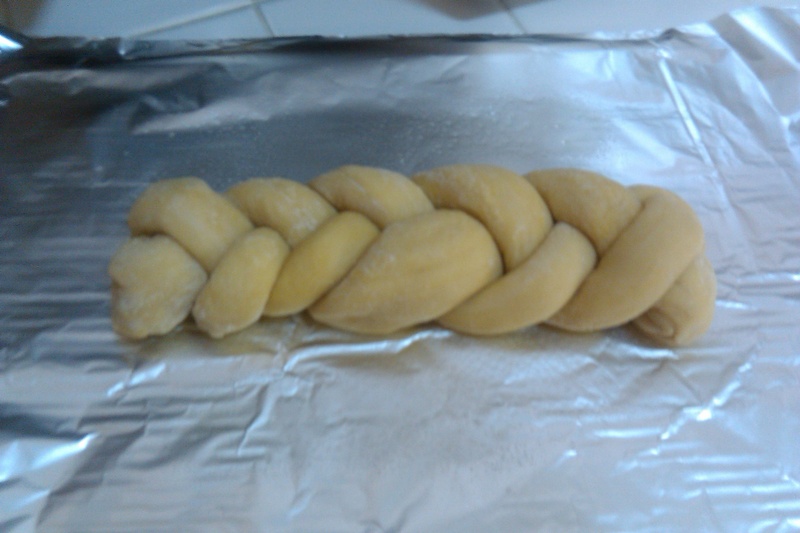 Place the second smaller braid, on top of the first braid, centering it. Brush bread with egg whites mixed with 1 tablespoon of water. Allow to cool on rack and serve! 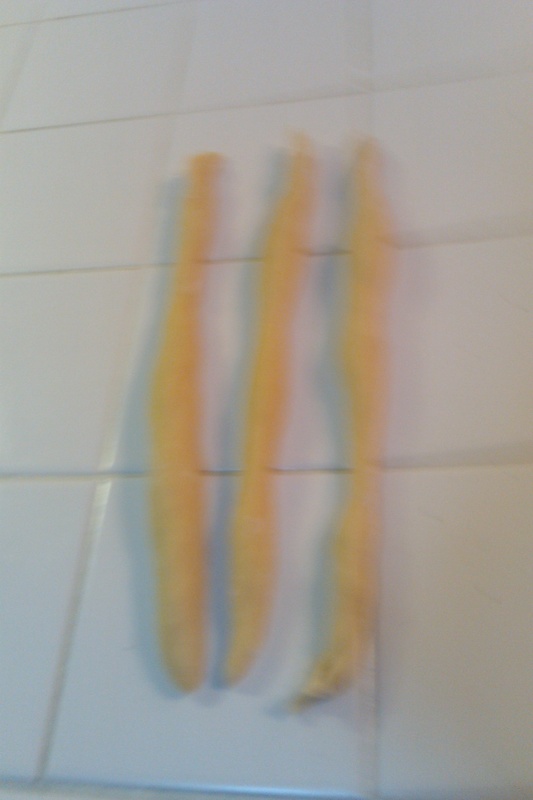 Dough Ropes, ready to Braid! Can’t Eat Just One Slice!